Everlink Payment Services Inc. is a leading provider of comprehensive, innovative and integrated payments solutions and services for credit unions, banks, and small/medium enterprises (SMEs) across Canada. In addition to supplying best-in-breed technology infrastructure and payment network connectivity via our well established Payment Network Gateway, we offer a diversified range of integrated payments Lines of Business including: ATM Managed Services, Card Issuance & Management, Fraud Management Solutions, Mobile Payments, Professional Services and SME Solutions. We are focused on the future – But respectful of the past. We must earn our client’s business every day – There is no such thing as “entitlement”. We are client-centric – above all. At Everlink we are dedicated to building, maintaining and nurturing long-lasting relationships. To help our clients remain competitive and successful, we provide the innovative technologies they need to serve their growing base of members, customers, and merchants. ATM Managed Services, providing the driving technology at the heart of many ATM networks that connect the various ATM operators and their stakeholders. Card Issuance & Management, offering a variety of card solutions for financial institutions and other payment card issuers. Fraud Management, assisting financial institutions to detect and combat fraud before it happens. Mobile Payments, remaining at the leading edge of the curve, Everlink is enabling the evolution of contactless card payments to mobile wallets, providing another convenient payment method to Canadians. SME Solutions, enabling credit unions and banks to support SMEs by offering merchant services and advanced FinTech Solutions, including alternative lending programs. Payment Network Gateway, selected by the Credit Union Payments Strategy Committee as the Recommended Payments Switch Provider for Canadian Credit Unions, Everlink’s Payment Network Gateway Services supply the technology infrastructure and payment network connectivity to Banks, credit unions and POS processors. Professional Services, leveraging the extensive knowledge, expertise and capabilities of our highly experienced team of payment professionals to assist our clients in navigating the ever changing payments landscape. Learn more about our services at www.everlink.ca. 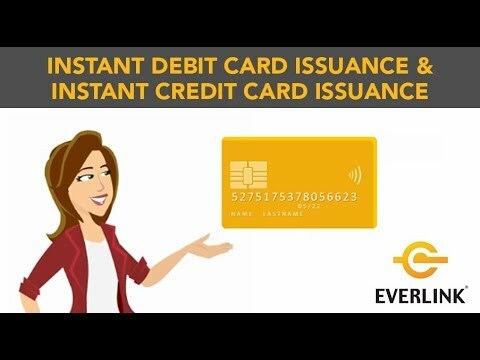 Everlink Payment Services Inc. - Everlink Payment Services Inc. is a leading provider of comprehensive, innovative and integrated payments solutions and services for credit unions, banks, and small/medium enterprises (SMEs) across Canada. In addition to supplying best-in-breed technology infrastructure and payment network connectivity via our well established Payment Network Gateway, we offer a diversified range of integrated payments Lines of Business including: ATM Managed Services, Card Issuance & Management, Fraud Management Solutions, Mobile Payments, Professional Services and SME Solutions. Complementing the strength of these seven primary Lines of Business is our ongoing commitment to Client-Centricity which is the key element of our guiding principles: We are focused on the future – But respectful of the past. We do what we say, when we say; we get it right the first time – Quality We get things done – Urgency We must earn our client’s business every day – There is no such thing as “entitlement”. We are client-centric – above all.